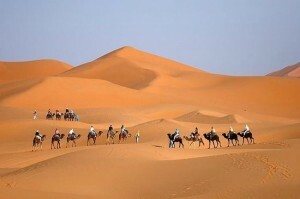 Ouarzazate, nicknamed The door of the desert, is a city and capital of Ouarzazate Province in Drâa-Tafilalet region of south-central Morocco. 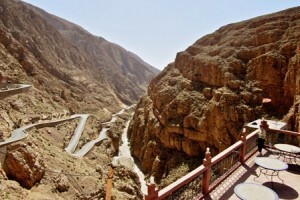 Todgha Gorge is a canyon in the eastern part of the High Atlas Mountains in Morocco, near the town of Tinerhir. Both the Todgha and neighbouring Dades Rivers have carved out cliff-sided canyons on their final 40 kilometres through the mountains. 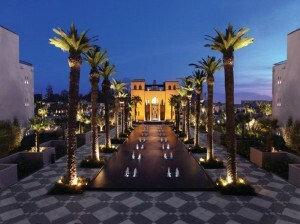 Marrakesh, a former imperial city in western Morocco, is a major economic center and home to palaces and gardens. 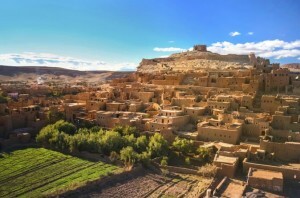 The location is a medieval city dating to the Berber Empire with mazelike alleys where thriving souks (marketplaces) sell traditional textiles, pottery and jewellery. Food vendors, a broad square where storytellers and musicians perform.